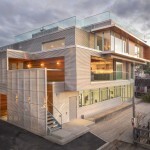 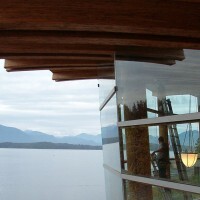 Canadian architectural firm de Hoog & Kierulf, designed the Rix Centre for Ocean Discoveries in Bamfield, a small community on the West Coast of Canada. 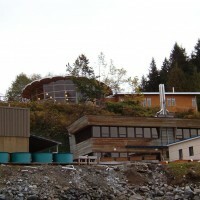 The Rix Centre for Ocean Discoveries is a 1200 m2 combined conference centre and marine science laboratory facility. 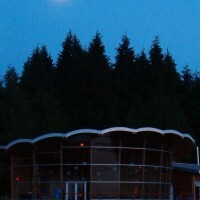 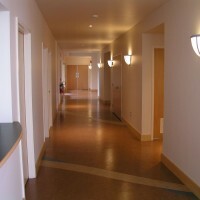 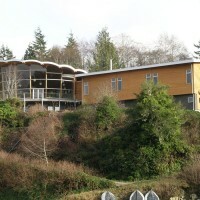 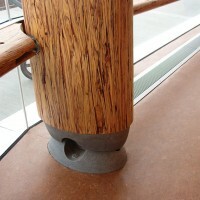 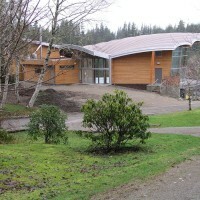 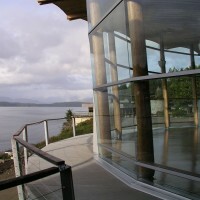 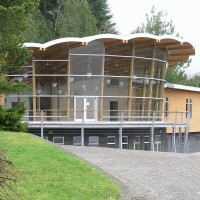 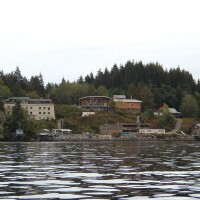 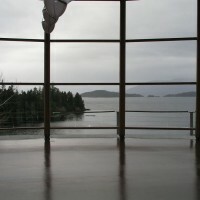 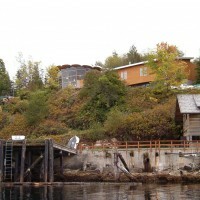 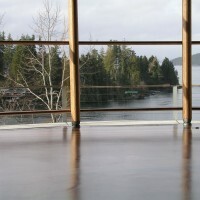 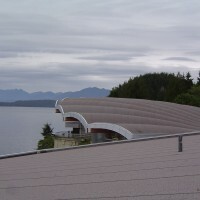 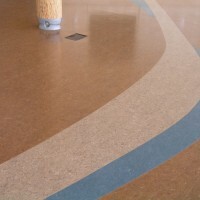 In addition to providing flexible conference rooms, a variety of both wet and dry laboratories, seminar rooms, offices, and both formal and informal meeting spaces, the building was designed to be an icon for the Bamfield Marine Sciences Centre as a global centre for oceanographic research and be immediately evocative of the natural marine environment. 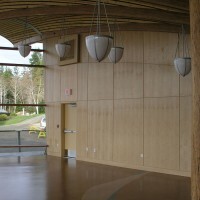 The structure of a scallop shell became the inspiration for the form of the entry and main reception areas. 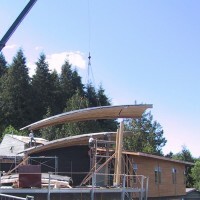 The challenge was to capture the essence of the shell form in an authentic manner that was functional and buildable in the remote west coast rainforest of Bamfield using local materials and labour. 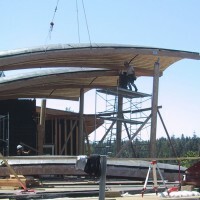 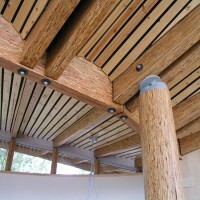 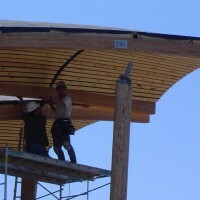 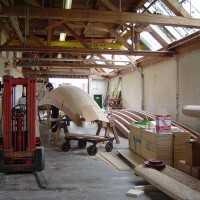 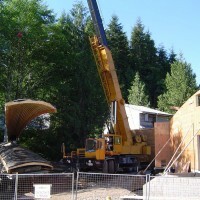 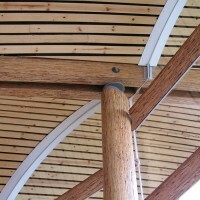 A heavy timber roof was conceived as a series of stressed-skin plywood and glulam bays (essentially a ‘shell’ structure) with modular components that were precision shop-fabricated, individually trucked to Bamfield, and assembled on site. 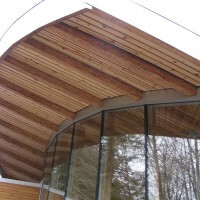 The paired beams between bays act as continuously sloping gutters directing rainfall from all parts of the roof to a central gutter . 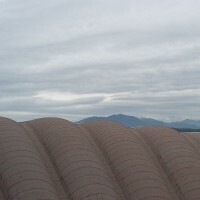 With average annual rainfall of over three meters, if there is an element of the building to be celebrated, it is the roof! 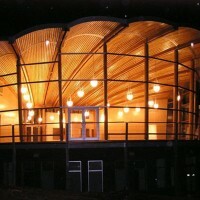 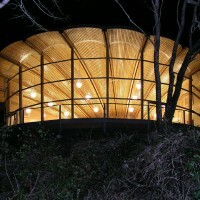 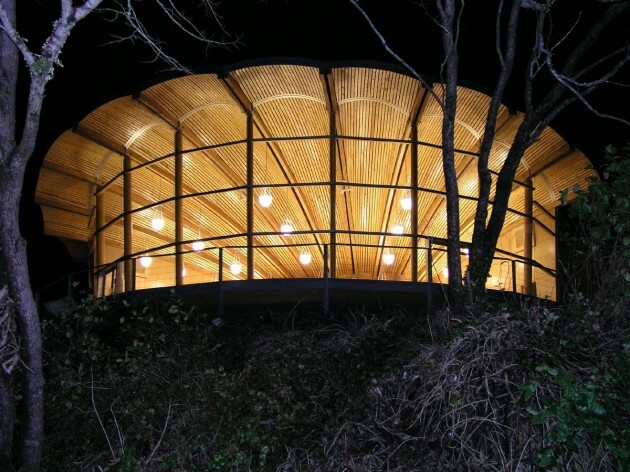 The geometry of the scallop shell was also used in the planning, spatial expression, and lighting of the reception area. 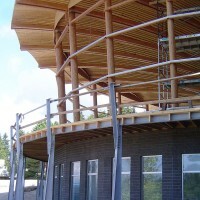 Entrance to the facility is through the ‘hinge’, a compressed space ringed by elliptical glulam columns that separate the foyer from the reception room. 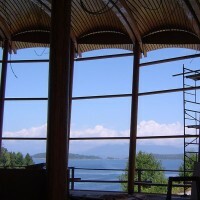 The roof springs from these columns, arching up to a second ring of columns at the building face where a curved glazed façade allows sweeping views of Barkley Sound and the mountains of central Vancouver Island beyond. 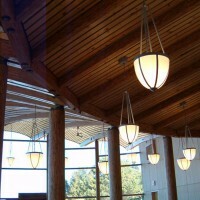 Pendant lights hang from theceiling like pearls or marine creatures suspended in water, their glow illuminating the underside of the scalloped roof at night. 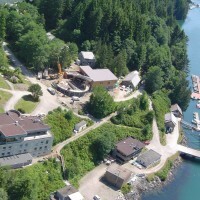 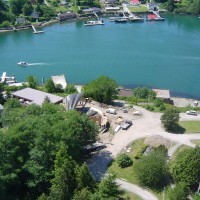 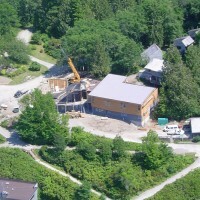 Whether viewed from the air or by boat (two essential means of access to the community), the Rix Centre is immediately recognizable as a focal point of the campus. 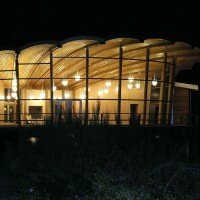 As a venue for the confluence of leading edge marine scientific theory and research with current business development and industrial practice, the main meeting and reception room of the Rix Centre is both the focus of the building’s form and its function. 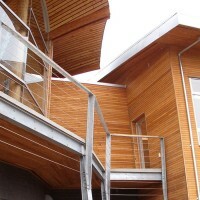 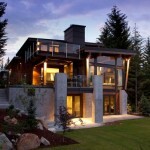 Visit the website of de Hoog & Kierulf Architects – here.